Due to the battery in the parcel, it will take a longer time than usual. 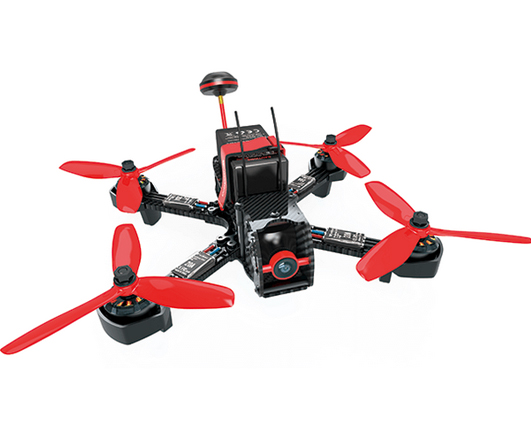 Walkera Furious 215 is suitable for both professional racing events and thrilling freestyle flying. 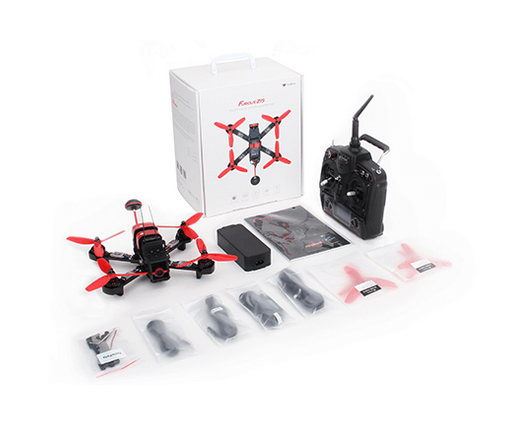 It comes with advanced airframe design, powerful dynamical system and professional imaging systems. ESC supporting oneshot 125/oneshot42, high accelerator responsiveness makes operation as swift as lightning. 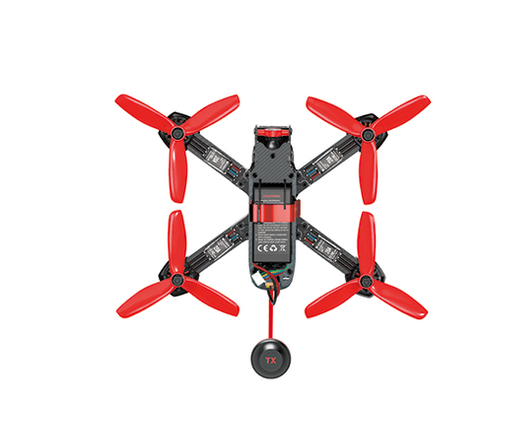 High-performance 2500KV brushless motor combined with 5040 5� propeller and 4S power battery,powerful momentum speaks itself. 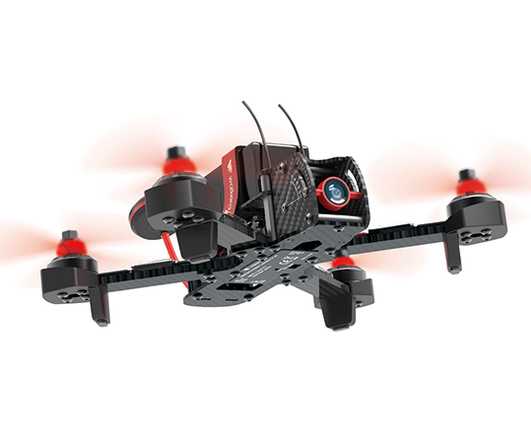 Rectangle airframe with batteries on top, smooth and stable flight, both track racing and freestyle flight accessible.Compact gadget design saves space by removing unnecessary wiring and centers airframe center of gravity by lowering battery fitting surface to 30mm. Its airframe made of high strength carbon fiber, robust arm at 4mm thickness;4 independent arms achieve lower maintenance cost. Aluminum Fittings: Triangle aluminum components are used to fix airframe; aluminum alloy posts improve airframe strength. Motor Guard: Designed to be coupled with safety guard and buffer bracket, brushless motor can stand rigorous reliability tests. Robustness & resistance to wear highlight its quality assurance. Carbon Fiber Airframe: Airframe made of high-strength carbon fiber and supported by metal posts makes the aircraft robust and crash proof. Protruded Redundancy Design: Redundancy design is employed and highlighted at bottomplate tail so as to make sure that video transmission antenna is not suffered from powerful impact. Camera Protection: Camera is protected with carbon fiber reinforced polymer at its head, with metal posts consolidated with 3 screws at bottom and top, which can effectively disperse impacts. Camera Mount: Compatible with sports cameras at different sizes of popular mainstream brands like Gopro hero4, Gopro hero5 session, Xiaoyi & Runcam, its mount is provided with tightening straps at multiple directions. XT60 power connector and video transmission antenna connector are placed in its afterbody, allowing more space for batteries, and obtaining better video transmission effect by minimizing sheltering of video transmission antenna. With ultra-high reduction and ultra-wide dynamicity, the beautifully colored high-definition camera 600TVL exceptionally performs under the lowlight and backlight surrounding, and capable of perfectly adapting to complicated environments. Equipped with FOV-130�wide-angle lens of focus-2.5mm, it is committed to delivering awesome visual experience. Its high-performance video transmission system supports 600mW(at maximum) power switching (FCC version), achieves transmission distance of 1.5 kilometers at maximum thanks to HG omni-directional mushroom antenna. 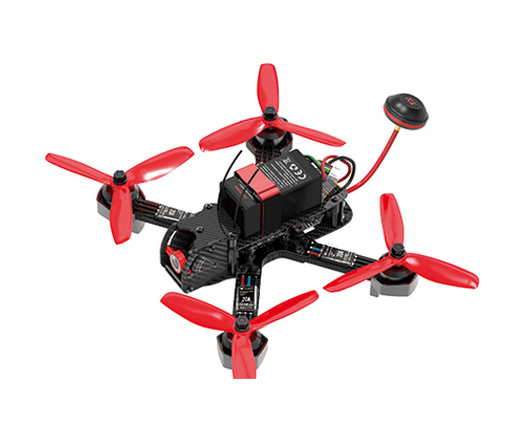 Equipped with mainstream F3 flight controller ,which enables players to perform autonomous tuning.Boot key is equipped on the flight controller to brush and upgrade betaflight and cleanflight SPracing F3 firmware. A Mr Drone simulator activation code and a USB dongle are included in both RTF version and BNF version package,which will greatly improve your flying skills in a short time.